Galaxy Tab A: How do I use Motions and gestures to control my Samsung Galaxy Tab A? 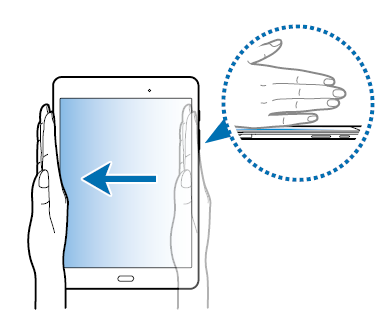 The Gesture option on your tablet allows you to use your hands instead of using the buttons or menu settings on the tablet to perform certain features. Note: Excessive shaking or impact on the device may result in unintended inputs. Control motions properly. 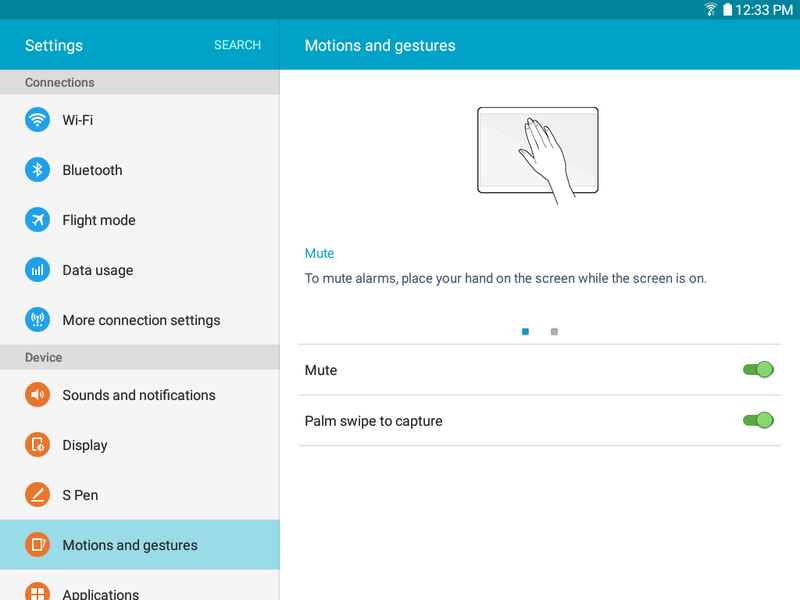 Control certain device actions by touching the screen with the palm of your hand. There are currently two options available with Gesture. 2. Touch Motions and gestures under the Device tab. • Mute: Mute sounds and video by covering the screen with your hand. • Palm swipe to capture: Capture an image of the screen when you sweep your hand left or right across the screen. Note: You can view captured images in Gallery. After capturing a screenshot, you can edit the image and share it with others.